The USDA announced major revisions to its Farm Storage Facility Loan (FSFL) Program, a major win for young farmers who specialize in diversified operations and CSA’s. Thanks to the efforts of NYFC and its allies, the new program is now more flexible and useable for a much broader set of farms needing to build or upgrade their storage facilities. 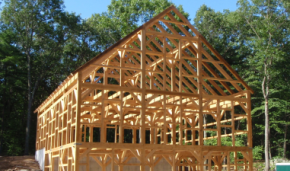 The FSFL program is financed through the USDA’s Farm Service Agency (FSA) and provides low interest loans to qualified growers for storage buildings, silos and more. Previously, the program was primarily intended for large-scale commodity producers; despite providing over 33,000 loans over the past decade, it was severely underutilized by the thousands of small farms and specialty crop growers. Starting last year, NYFC partnered with the National Sustainable Agriculture Coalition to campaign for improvements to the program. 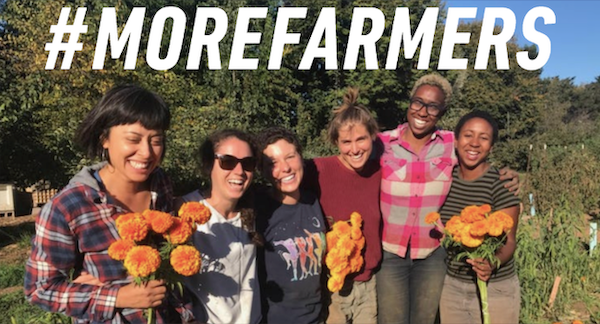 After a series of meetings with key decision-makers, NYFC is thrilled by the announcement from the USDA of new changes to the loan program to make it more accessible to new farmers, diversified operations and CSA farms. 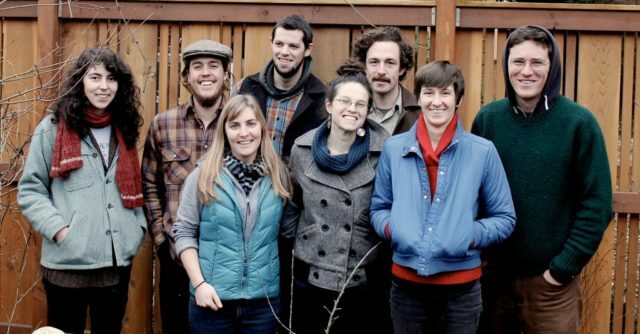 It was the end of the 2013 growing season and Ben Shute, owner of Hearty Roots Community Farm and NYFC co-founder and advisory board member, had a problem. 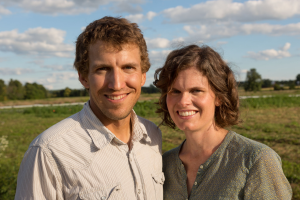 Having just moved his 600-member vegetable CSA farm to new land in Clermont, NY, he needed to build a vegetable wash station and cooler facility. It seemed like the USDA’s Farm Storage Facility Loan Program would be a perfect fit. However, he was coming up against major obstacles, given the nature of his farm. In order to qualify, he needed to be covered by crop insurance – something that didn’t make sense for his operation – and there were other requirements clearly written for commodity farms with just one or two main crops. Ben and NYFC connected with representatives of the local, state and national FSA offices. Through several meetings and months of emails, NYFC worked with FSA Deputy Administrator Mike Schmidt to lay out the needed changes for the program to provide better support for a larger range of farming operations. Once the arguments were laid out, Hearty Roots became the volunteer test subject for how a small diversified operation could apply for the loan. In going through the process, Ben documented first-hand the issues that arose. First, the program’s focus on commodity crops meant that eligibility is partially determined by acreage reporting. Since the rules were written for commodity crop storage, even a relatively small diversified vegetable operation would have far higher needs than what it would be eligible for. Additionally, trying to submit crop-by-crop acreage reports would be a logistical nightmare for a CSA that grows dozens of crops. 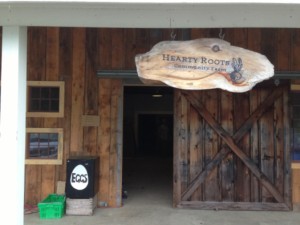 Hearty Roots’ solution was to apply for a waiver, instead reporting on the size of the CSA membership, the total output of vegetable production and the cooler requirements of past years. The larger obstacle came from the insurance requirement, which would make the loan even less affordable than the private loans he found. Moreover, the FSA’s insurance program is only designed for operations with one or two main crops, not a farm that produces over forty types of vegetables, each one important to the success of the CSA. Most importantly, the requirement for insurance didn’t make sense; diversification itself is an effective form of protection from disaster, and in the CSA model, it’s the membership that takes on the risk year-to-year. In fact, a CSA wouldn’t even be able to collect from an insurance program, since it wouldn’t be able to show loss of profit from a bad season. All in all, Hearty Roots’ test of the application process showed several issues that clearly needed improvement if more diverse farms were to start applying for the program. Hearty Roots’ and NYFC’s work over the past few months brings us to the exciting announcement of last week, that the USDA is making significant changes to the Farm Storage Facility Loan Program. The new changes will make farms like Hearty Roots and other vegetable-growers, diversified operations and small farms able to apply for the first time. The USDA now recognizes growing many crops is itself a form of risk management and will allow these growers to apply for an exemption from the crop insurance requirement. Additionally, new alternatives are in place for size reporting, taking specialty crop growers into account. Information such as revenue from previous years, total production and other metrics can take the place of acreage reporting. Also, the loan can now be used for more than cold storage. Previously, producers were only allowed to use the loan for coolers and a building to house them; the new version will also finance washing and packing equipment – something especially important since many vegetable growers will now have to come into compliance with tougher sanitation rules once the FDA finalizes its food safety regulations. Finally, the limit for requiring additional security could be increased – at the state FSA’s discretion – from $50,000 to $100,000. This is the loan limit after which the farmer would need to personally put up additional security, such as a lien on the farm. At the same time, there are still some challenges with the program (and areas where NYFC will continue to advocate for its members!). The insurance waiver requires approval from both the county and state FSA boards, which can be difficult to attain in some areas where diversified operations aren’t the norm. The waiver also still needs three years of crop records, meaning newer farms will have difficulty applying. And the process itself, while somewhat streamlined, is still quite complex, making it difficult to use for farmers not used to interacting with government programs. Nonetheless, we are excited to share the USDA’s news and to have played a major part in promoting the changes. This is an excellent step in supporting the growth of agriculture that focuses on diversification and local economies. NYFC will continue to build our relationship with the FSA in advocating for the next generation of American farmers. « previous article: "An Entrepreneur’s Guide to Farming in Massachusetts" Now Released!